Analysts at J.P. Morgan have claimed that even a loss towards the upper end of the range of initial insured loss estimates for Hurricane Michael would be manageable for the property and casualty (P&C) industry and unlikely to meaningfully affect reinsurance prices. Catastrophe modellers currently put the range of insured losses at between $3 billion and $10 billion, which is slightly higher than many had initially expected, but still accounts for just 1% of industry surplus and less than a quarter’s worth of earnings for most companies, J.P. Morgan noted. AIR Worldwide has the highest insured loss estimate for Michael, at between $6 billion and $10 billion, while Karen Clarke & Co. puts losses at $8 billion and CoreLogic recently revised its range to between $3 billion and $5 billion. 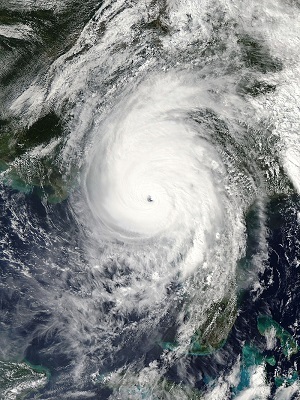 Hurricane Michael made landfall in the Florida Panhandle last week as a Category 4 hurricane with wind speeds of up to 155mph, making it the strongest hurricane to hit the U.S since Andrew in 1992. If insured losses do reach the upper end of the estimated range, Michael would also become one of the top 15 most costly hurricane losses in U.S history, J.P. Morgan noted. Analysts at the firm said that, amongst reinsurers in its coverage group, Renaissance Re and Everest Re would have the most exposure to Michael, although both companies are still likely to turn a profit for the quarter, depending on other cat losses. Meanwhile, primary insurers such as Travellers, Chubb, Allstate, Progressive, Arch Capital and Berkshire Hathaway could also have losses, although these should also be manageable and contained within J.P. Morgan’s cat load. J.P. Morgan’s comments echo the sentiments of other analysts, such as Willis Towers Watson, who claimed that re/insurers will comfortably absorb losses from Michael; KBW, who said that losses won’t be overly disruptive; and S&P, who asserted that the Michael will be an earnings event rather than a capital event.